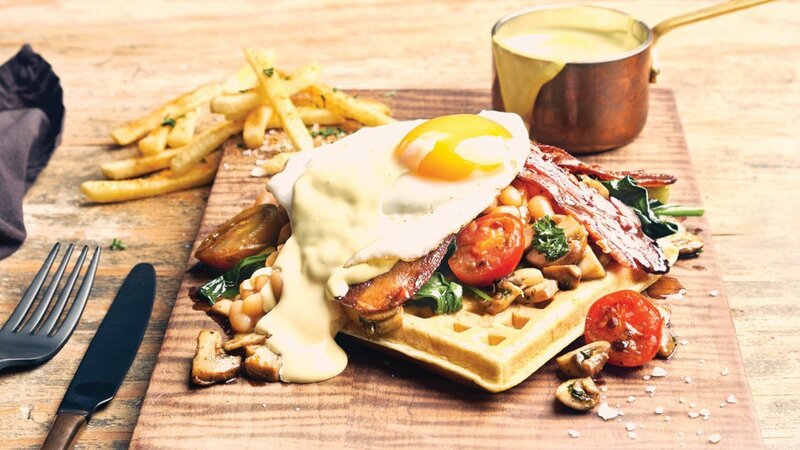 With this delicious combo of breakfast ingredients including a potato waffle - you will wish breakfast was all day long, every day! 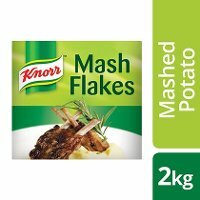 Bring water to the boil, remove from heat and whisk in Knorr Mash Flakes. Add rest of ingredients and mix to form a smooth batter. Cook in a waffle iron. Heat oil in a deep fryer to 170 °C. Fry chips in oil at 170 °C until golden brown. Place on paper towel to absorb excess oil. 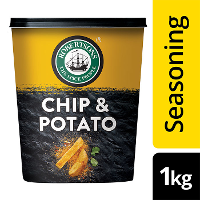 Season with Robertsons Chip & Potato Seasoning. 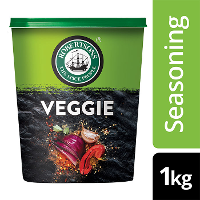 Serve with crispy bacon, sautéed mushrooms, roasted roma tomatoes, baked beans, wilted spinach and a soft fried egg. Top with Knorr Hollandaise Sauce. To spice things up, add a smoky chipotle seasoning to the Hollandaise sauce.